Not too long ago I finish City at the End of Time by Greg Bear. Talk about your mixed bags literature-wise. City at the End of Time is a sci-fi novel with some fantasy elements, taking place both in contemporary Seattle and the last human city 100 trillion years in the future called the Kalpa. As the book's title implies, the Kalpa exists in an artifically generated space, as the universe/multiverse (from what I can gather, the many universes converge into one chaotic mess at this "time'") is so ancient, it is "worn out," so to speak. This seems to have either developed into or called the attention of an entity/force called the Typhon, which turns old space/time into pure chaos. The descendants of humanity living within the city largely try to ignore the universe turning into chaos, but some have been working on the problem of reversing it. Somehow this involves using bio-engineered beings called "Ancient Breeds" made from "primordial matter" (ordinary atoms, as most of the inhabitants of the Kalpa are either virtual or made of exotic material). The way these Ancient Breeds are described, they are either suppose to resemble pre-human ancestors, or the people of the distant future don't quite remember what old humans looked like, so they gave them fur over some areas and odd-shaped ears. In any case, the Breeds live away from human descendants, but some special members are trained to go out into the Typhon, seeing if they can find another city in the chaos. The Typhon is not only making the multiverse as we know it cease to exist, the effects are reaching back in time, so that eventually it would be like the familiar multiverse never existed in the first place. Meanwhile in the present, there are three special young people, all of them with the ability to jump to other universes in which a version of themselves exist. They all carry strange items called Sum-runners, which are somehow key to saving the multiverse. Because of this, the forces of a goddes- like cosmic entity called the Chalk Princess are after them. Two of these youths, a girl named Virginia and a guy named Jack also have dreams of a city, the Kalpa itself and seem to be able to briefly see through the eyes of two of the Ancient Breeds there, a male named Jebrassy and a female named Tiadba. So how does all this save existence as we know it? I'm still trying to figure parts of that out. This book has such fascinating, grand ideas of what it would be like in an incredibly distant point in time, the technology, the history, and the people that inhabit the Kalpa. The notion of the universe not only ceasing to exist, but never existing in the first place is also awe-inspiring. However, this book handles it rather clumsily. It's a slog to get through. Chapters upon chapters of not much at all occur before something interesting or revealing happens. Also, the parts that take place in the Kalpa are written in too much of an in-universe voice so that it can come across as confusing. Worst of all, despite the book's length, there is very little time spent on meaningful characterization. None of the protagonists feel like distinct individuals. They all just seem to be pushed along by the grandeur of the novel's concepts. Oddly enough, only one of the villains feels like a substantive and interesting character. This book has some great ideas, and I didn't entirely dislike my time reading it, but it can be difficult to comprehend and a real chore to read at times. On a side note, I still can't decide if how the Typhon meets its end is one of the most awesome things I ever read or one of the dumbest. Let's just say it involves millions upon million of cats. I'm about a quarter of the way through Dan Simmons' Carrion Comfort and thoroughly enjoying the story. I generally don't have a shred of interest in vampires or other horror creatures, but this book handles them in a straightforward way that I've not yet experienced. Aside from that, I'm rereading Steinbeck's The Grapes of Wrath with my girlfriend, who's a huge fan of that author's work but somehow never read that during high-school like the rest of us. Finished two books recently, The Gnostics by Andrew Phillip Smith and The Hitchhiker's Guide to the Galaxy by Douglas Adams. The Gnostics is a relatively small book that provides an overview of the Gnostic religion, it's beliefs, the various groups, history, and modern revival. It's quite fascinating and enlightening, even if it does go into deep detail. I had heard of Gnosticism in reference to things like the film The Matrix and video games like Xenogears and Xenosaga, but I only knew bits and pieces of what it was all about. This book finally gave me the rundown I was looking for. As for Hitchhiker's Guide, I can see why this series is so popular. I love its wit and absurdity. I read it as part of a massive single-book collection, so I'm already reading The Restaurant at the End of the Universe. Currently moving through an amazing book called "Acacia" the first of a trilogy. It's epic and dark fantasy ala "Song of Ice and Fire", but I like the characters a lot more. Did you think Padan Fain was being built up to take the Dark One's place after Rand find's a way to actually kill him? Yeah, not so much. The Wheel of Time dragged a lot, especially between Lord of Chaos and Crossroads of Twilight, Jordan really isn't good at writing romance, and his depiction and gender politics in the world is laughable, but I mostly enjoyed my experience with the series and am very satisfied with its ending. I also have to credit it with introducing me to my current favorite author, Brandon Sanderson. A Memory of Light may be long, but its a fantastic book. I've taken an interest in dystopian fiction lately, and no, it wasn't because of 2012 or anything like that, just a peculiar interest of mine. I just finished Oryx and Crake + companion book The Year of the Flood by Margaret Atwood, although I got the order wrong. I enjoyed it, but YOTF takes a little bit of time to get into the groove since you keep having to switch persepctives between two protagonists, but it gets better towards the middle. Another great dystopian novel I came across was Ready Player One by Ernst Cline. I'm sure this book would appeal to a lot of us on this forum for obvious reasons, but I really liked it also because it is based on a virtual reality peppered with a lot of 80s pop culture references. I was so reluctant to put it down when it ended. It's gonna be made into a movie too, which I can't wait to see. Currently finishing up my final reread of the Wheel of Time. I'm on Path of Daggers (I've read all the way up to A Memory of Light). This is such an awesome series. I just finished up A Clash of Kings (A Song of Ice and Fire: Book 2). After that, I think I am done with the Game of Thrones series. At 800 pages a pop, it's just too long of a series for me. While parts of it were excellently written, there were long stretches with nothing of import. After reading a few of the reviews for later books in the series, it seems this trend continues, especially in books 4 and 5. So, I figure, if it's already irritating me now, I better stop before I get too committed. Well I finally finished Hitchhiker's Guide from the first book to Mostly Harmless, all of which were in this massive book The Ultimate Hitchhiker's Guide, which collects the five books written by Douglas Adams and the short story "Young Zaphod Plays it Safe." They are very much enjoyable books and I love how the whole series turns the idea of a grand space adventure into something common place, irritating and even silly. I imagine the last books in the series And Another Thing won't quite match the previous books, but I still look forward to it. I absolutely love the Repairman Jack novels by F. Paul Wilson. It's about this guy with totally average apperance who's kind of a fix it guy, and I'm not talking about plumbing and such generic repairs, but things that people want to be taken care of under the table. He basically doesn't exist as far as government agencies are concerned, has no Social Security number, passport, or anything that leaves a paper trail. The novel mostly deals with supernatural stuff and towards the end of the series he becomes the saviour of the world when evil forces in the universe clashes with the neutral ones, of which Jack is representative of. Well, it's not the kind of reading you tend to see in this thread, but after getting re-hooked on the Gargoyles cartoon series, I went and bought the comic books. And when that wasn't enough, I sniffed out The Gargoyles Saga fanfic website and read everything there. Took me all of August to do it. As for the comic books...yeah, I'm not a comic book person. I'll leave it at that. As for TGS...okay, I can understand why the diehard fans hate the way the TGS staff broke away from canon a bit or redesigned some characters to fit their own vision (basically comes down to villains redeeming themselves and getting all lovesick), and of course the writing quality can change from one story to the next, but I still enjoyed it. I don't think I like the superhero model. The whole "make a million storylines, villains, and spin-off series and never bring any storyline to an ultimate close" style. The TGS novelized style, on the other hand, had a more linear plot with definite beginnings and ends to the whole thing (sans core Gargoyles characters; only TGS creations were at risk of dying or leaving for whatever reason). Sure, every now and again there was a colourful story thrown in to mix things up, and the mushiness got a little out of hand, but TGS continued the story and they did it without going all over the place (whereas Weisman had planned 5 spin-offs in just 2 years of production). Shame they never got around to finishing their work, although I can understand given the main franchise storyline wouldn't technically end until the construction of the Eeyrie Arcology. It would have been nice to see them finish up their Timedancer storyline. They're just one season short. I have actually been getting back into comics a bit, although I do find them more difficult to enjoy now than when I was younger. That is mainly due to the same types of things you brought up, like not really having a tight narrative to enjoy, and the constant deus ex machina plot devices. That said, there's nothing like browsing through the new comics in a comic book store on a Wednesday. The comic that got me back into it was when I started reading The Walking Dead after enjoying the TV show so much. That got me craving more. So I started picking up other comics, mainly from the X-Men line, since that is what I enjoyed growing up. None of those have really jumped out as "great" though, although I do love the artwork in the current Uncanny X-Men and Uncanny X-Force. Another comic I've been reading and loving though is Saga. Other than that, I finished off two books by my favorite author, Cormac McCarthy: Child of God and Outer Dark. Child of God was probably the first book of his that I did not enjoy at all. It featured very short, sharp chapters, focusing on very specific events relating to the main character. While it was an interesting idea, kind of like peaking in the windows of the life of a madman, I just did not enjoy the style very much. Outer Dark, however, probably lines up as one of my favorites from McCarthy. Still behind Blood Meridian, but it's up there with Suttree as a runner up. I loved the bizarre premise, and the way the narrative was framed was fascinating to me. As with any of his novels, it takes some time to digest the full meaning. This summer, I made the mistake of checking out some old novels from the Star Wars expanded universe I had laying around. First, I read through the bizarre and unbalanced Barbara Hambly volume Children of the Jedi. After that, I plowed through Kevin J. Anderson's meat-brained Jedi Academy Trilogy. Right now, my OCD, nostalgia, and wishful thinking has me finishing the two volumes that these same authors wrote as follow-ups to that former Hambly volume. The first of those is Anderson's Darksaber and reads like schlocky fan-fiction. All of the good characters are pure and flawless while the villains are bumbling s##theads who remind me of the villains in the Teenage Mutant Ninja Turtles cartoons I watched in the early '90s. After these are done, I'm planning on attacking a growing pile of vintage sci-fi (read: speculative fiction) paperbacks that I grabbed at the local used bookshop these past few months - lots of Frederick Pohl, John Brunner, Theodore Sturgeon, and the like... Those guys could pack more meaning and style into a 5-page short story than a hack like Kevin J. Anderson projects through an entire series of novels. And Another Thing... definitely didn't have Douglas Adams' same style, it was still nice to see the characters get a final hurrah and end it on a happier note than Mostly Harmless. Adams himself said before he died that he didn't like how dark a note the series ended on and intended on writing another one (using some of the material from The Salmon of Doubt that didn't work for his Gently novels). Speaking of which, if you haven't read Dirk Gently's Holistic Detective Agency and it's sequel The Long Dark Tea-Time of the Soul, you should. If you like H2G2, you'll enjoy Dirk Gently. My point as originally intended is that I've got the very first book of The Wheel of Time and am painfully aware that the series is ... long, to say the least. This excites me rather than intimidates - I like the thought of a long series, something meaty and that I can really get my teeth into. Despite the promise of that though, I'm having trouble getting into it. I'm interested in your opinion, Strawberry, as someone who clearly did get into it, as to why this may be. Perhaps it's Jordan's writing style? Perhaps it's because brought up on a diet of dry but classic fantasy like Eddings I'm finding too much dryness in the first book? What do you think? Is it worth pushing to see if I can get hooked on it, or is it one of those things you either like or you don't? I just finished enjoying the hilarious Don Quijote I'm now on the Divine Comedy, at the end of Inferno. Anyone else read these classics? On the fantasy front I've just finished the first book of Jack Vance's Lyonesse trilogy (Suldrun's Garden). I've become a great fan of this author after having read Tales of the Dying Earth, especially the Cugel stories. Prior to this I finished the first half of Gene Wolfe's Book of the New Sun, which I only moderately enjoyed. I have the most amazing classic fully illustrated copy of the whole Comedy on the shelf here. The Inferno is the most famous component of the comedy for a reason, I still feel it's the best part, but really the whole thing is a joy to read. I'd actually recommend tracking down the early illustrated copies because I feel that it helps to both add to and accentuate the story. As for whether or not you should continue the series, I'm of the mind that if the first book didn't draw you in, then maybe the series isn't for you. If you'd like you can either read the prequel novel New Spring, which is what drew me into the series, or the second book The Great Hunt to see if that catches your interest. I say this because I think that the first five books as well as the prequel novel are very engrossing, but it starts to drag on by the sixth book Lord of Chaos, lasting until the 9th book, which in things start to really pick up again. It may not seem that many, but I slogged through 6, 7 and 8. Sure, I love reading the classics. In fact, Don Quixote is one of my favorite books. Hence, the forum title above my avatar. I haven't read the Divine Comedy yet, but it's on my to do list. Right now I'm reading Robert Greene's The 33 Strategies of War. For anybody unfamiliar with Robert Greene, he delves deep into subjects and provides awesome historical examples of each "lesson." His books are so well done, I can't imagine the amount of research needed to be done with each. Unfortunately some of his other books, notably The Art of Seduction and The 48 Laws of Power have been tainted by the "PUA" community. But they are all great books for those who love reading this kind with a strong emphasis on historical context. Thanks for the feedback! I didn't know there was a prequel, so I might get a copy of that and start there. It's one of those series that you always see in book shops and so I've wondered about it for a long time. I'll give it a go! Next up will be Brandon Sanderson's upcoming book Steelheart, which will be released on the 24th. Until then, if I must read something, it'll have to be manga. 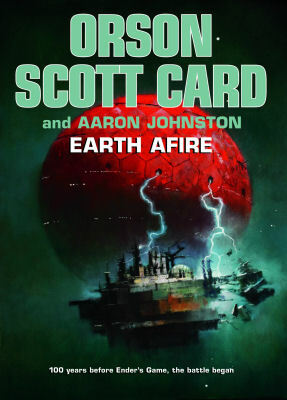 I'm going to have to add an anti-suggestion of a science fiction "classic", Ender's Game. 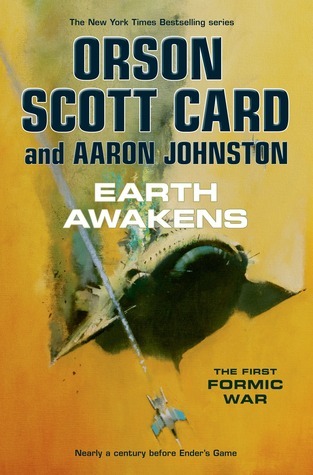 As a fan of science fiction, I'm trying to read as many of the supposed classics and catch up. You see, I never enjoyed sci-fi as a teenager, and missed out on a lot of reading. 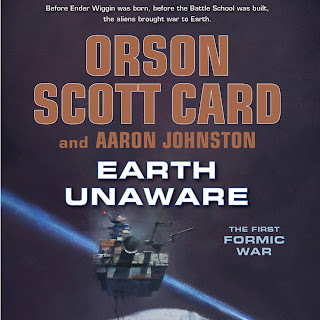 Orson Scott Card's novel is frequently mentioned on lists, and so I eventually got to it. And I'm having a reeeeeally difficult time finishing it. And it's just completely ridiculous. I'm surprised I even made it this far, having to imagine children as young as six spouting the dialogue that's apparently perfectly normal for these space prodigies. It is fiction, and yet it's completely unbelievable. I can't possibly buy it. It's made worse by the author's foreword, who seems to think that he's "challenging" readers' perceptions of childrens' thinking and behavior and that anyone who sees through it just can't accept said challenge. He makes a particular jab at people whose professions are based around children--like mine--as if teachers, social workers, child psychologists and the like just don't really understand them. No, not like Mr. Card does. The whole thing is a complete farce. I can't enjoy fiction where I can't believe the characters, and there is no future where elementary age children think the way Card seems to believe they can. It has nothing to do with what children are capable or not capable of; that has nothing to do with it. It has to do with the way that children develop, biologically, and how the sequence of physiological and psychological development progresses. So unless the children of Ender's universe are genetically altered in some way (and feel free to shame me for not having read far enough to know if such a revelation will come about), I can't take them seriously. It would be one thing if the perspective-writing showed a child's lens accurately, where it is easy to tell that all the plotting and metacognition was exaggerated (as a child's mind does). Card's kids, though, apparently have fully-functional adult minds, sans any biological tampering whatsoever. He posits that gifted children think especially differently than, well, non-gifted children; that they think, act, and behave as if fully grown. I won't see the upcoming film, but in a way, it will almost certainly, anomalously, be better than the book. Because the protagonists are all all hiked up in age, and the script will undoubtedly be heavily watered down for the book. Both changes will equalize the narrative, helping it find a more believable balance (middle school and high school age kids talking like high schoolers and college students, rather than elementary age kids talking like adults). adults are the deceivers, the enemy. This theme works to great effect in works where a child is written realistically, and so the reader understands the exaggerated world view. Here it's irrational. Again, if there's some special quality about the Ender universe I don't yet understand, I'll eat my words. But if this is supposed to be The World plus 100+ years... sorry, I just don't buy it. I'm going to struggle to finish this book. The characters are just too ridiculous. Perhaps some encouraging words are all I need to slog through. I'd definitely recommend you slog through and finish the book. Finishing it probably won't assuage some of the problems you have identified, but it's a book that has to be judged on it's entirety to fully understand why it has become so popular. Series ragequit aside, I didn't like Ender's Game and agree that it, as a standalone novel, doesn't live up to its reputation. The premise and characters are too simple, the plot exists only to get the story to the ending, and that made it read like a short story stretched out to the length of a novel to me. Then I liked the next book in the series a whole lot. Card's ability to plot and outline a complete novel get significantly better. Speaker for the Dead is the most emotional sci-fi novel I've read, and it ended up being the best in the series for me. Unless you outright hate Card's writing style, which is definitely pretentious, I'd suggest pounding through Ender's Game and at least giving Speaker for the Dead a try. Ender's Shadow and that series go back to child prodigies who are even more prodigious than Ender and his family, so you don't want to go there. Currently reading the newest Richard and Kahlan novel "The Third Kingdom" by Terry Goodkind (the sequel novels to the Sword of Truth epic series). It still seems like Goodkind is writing like he had a stroke or something, but his voice is returning as is his writing ability since the dreadful "The Omen Machine"
Now a days i am reading a novel named "devta" which is a suspense novel and all about telepathy. Telepathy is a knowledge about mind reading and the main leading hero have the ability to read minds of the people by watching in their eyes or by listening their voice. It is comprises of more then 50 parts and yet i am on part 6.
a certain someone from another Cosmere book makes an unexpected appearance. I have just finished off all the Dresden Files and need a big break from it. I'm amazed at how many little references and nerd in-jokes Butcher can fit on a page. I believe what my religion conditioned me to believe.